Heart disease is the leading cause of death and disability for both men and women worldwide. As a nurse working in senior care, you need to know about the different types of heart disease and risk factors as well as the effects of aging on the heart. People in your care may suffer from hypertension, coronary artery disease (CAD), heart valve disorders, or rhythm disorders. 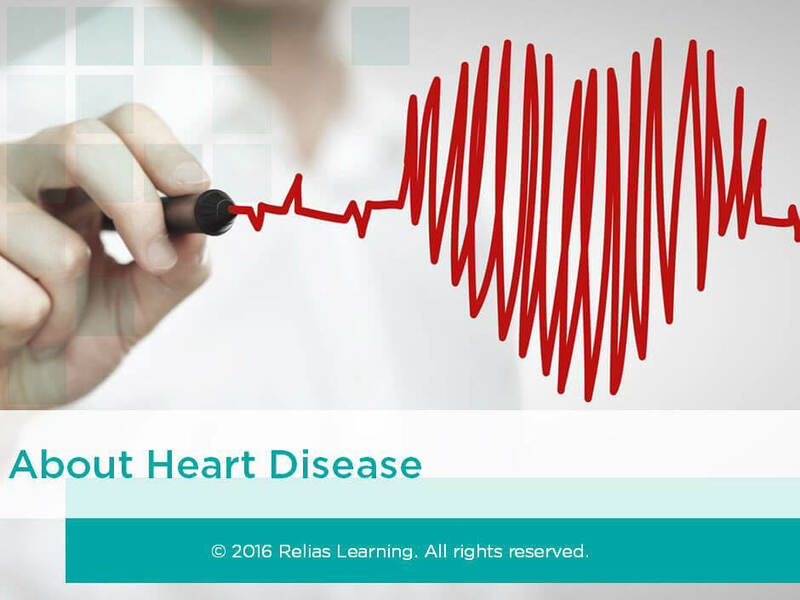 This course will help you identify the symptoms associated with each type of heart disease, and it will discuss the diagnosis and available treatment options. Identify 3 risk factors for heart disease. Identify 3 effects of aging on the heart and cardiovascular system. Identify 2 risk factors each of hypertension and coronary artery disease (CAD). Identify 2 symptoms each of heart valve disorders and rhythm disorders. Identify 3 invasive and 3 noninvasive treatment options for heart disease. Identify 4 lifestyle modifications that minimize risk for heart disease. The target audience for this course is: entry level Nurses; in the following settings: Post-Acute Care.